Self service auto parts. Save £££s! 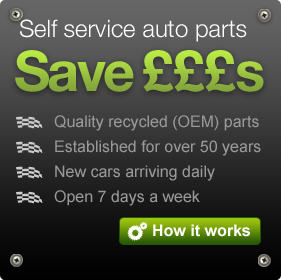 Silverlake's UPickIt do-it-yourself used parts service is the best in the UK for a number of reasons. UPickIt reduces the costs and headaches of sourcing quality used car parts in a safe, well organised and environmentally friendly facility located near Southampton, Hampshire. Our full UPickIt stock is available to view online before you arrive and our simple flat pricing model, with warranties available, allows you to buy quality low cost used car parts with confidence. Come and experience why UPickIt self service car parts from Silverlake is setting the benchmark within the automotive salvage industry, but remember, although we close at 6PM Monday to Friday, 5PM on a Saturday and 1PM on Sundays, entry is restricted 15 minutes before these times to give our customers time to browse before we close. 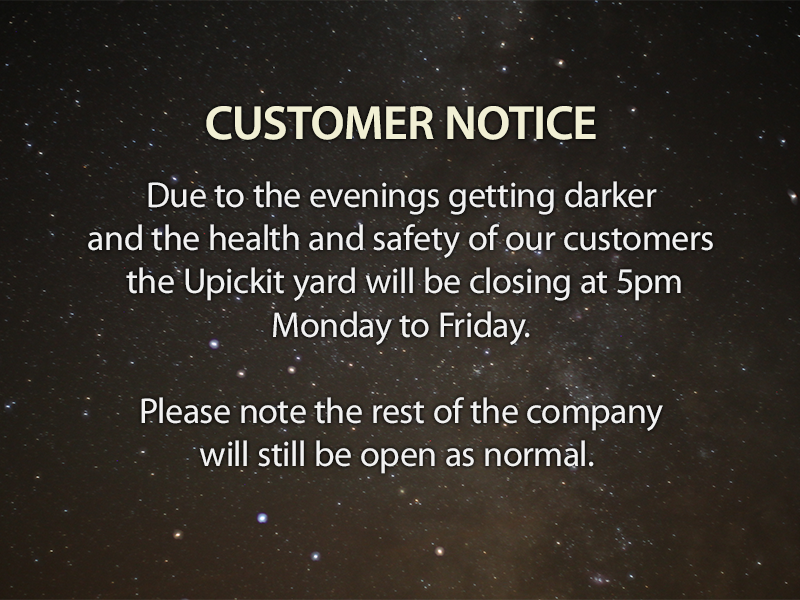 During the winter season the yard will close when we deem it too dark to enter due to safety reasons. View our low cost used car parts online today!